Dr Mody Participates with Baroda Colleagues in Teaching Program.. It is usual for Dr Mody to be teaching across the country and outside as well. However, it gives one special joy to be able to interact with colleagues in one’s home city. 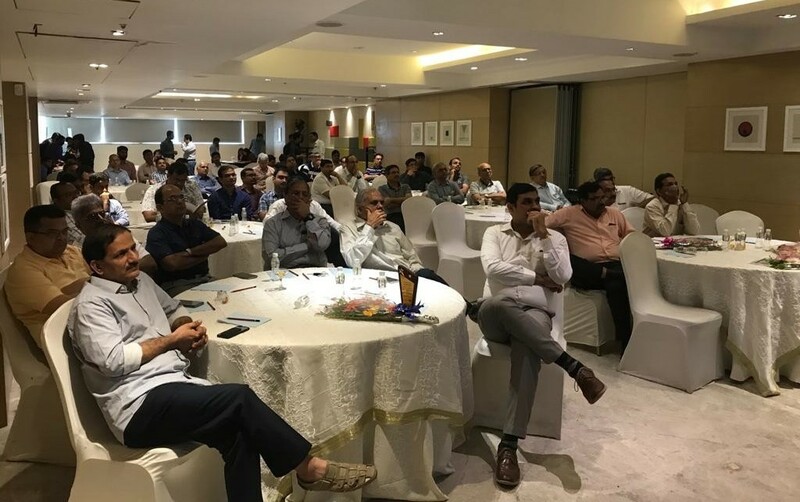 Such a happy interaction occurred when Baroda Orthopaedic Association (BOA) invited Dr Mody to lecture at the recently conducted seminar on Total Hip Replacement. 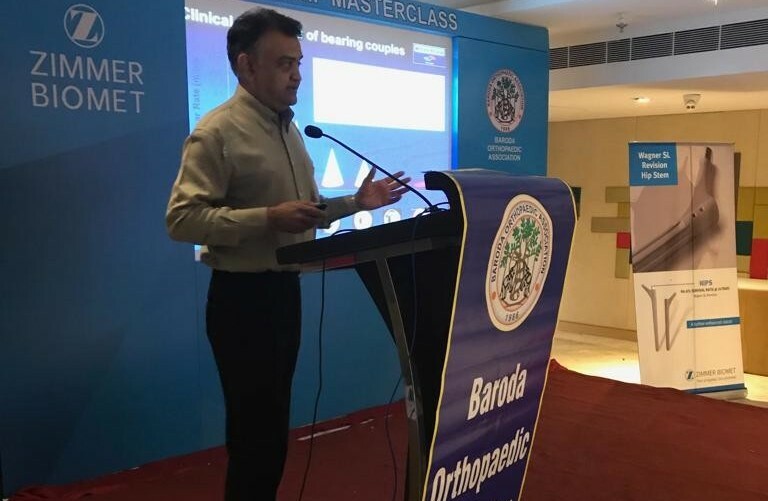 Dr Mody delivered a talk educating the audience, and especially the next generation of orthopaedic surgeons about the importance of biomaterials in the practice of total joint replacement surgery. The next quantum jump in the quality of results which will be enjoyed by patients will be delivered by the advancements in biomaterial science. Whilst the doctor’s diagnostic ability and surgical skills will always be critically important, these aspects have already reached a high level. The modern day doctor/surgeon will have to be enlightened about engineering principles as well. This is especially true in orthopaedic surgery because a lot of orthopaedic surgical reconstruction like joint replacement, fracture surgery, etc involves creating stable and long lasting structural constructs. Engineering principles are the underlyingfoundation for this to be achieved.